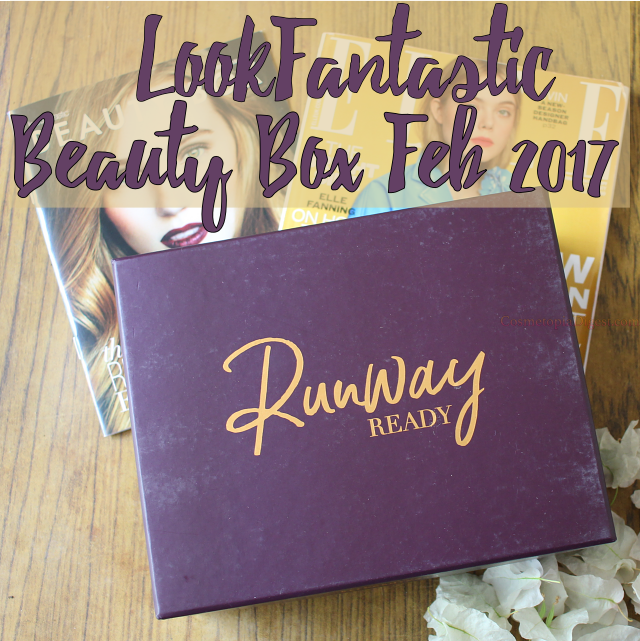 LookFantastic's Beauty Box for February 2017 is the Runway Edition, containing "opulent beauty products, with innovative ingredients" - products that can make you runway ready this February. A nice change from the Valentine's Day overkill we have been seeing this month. I love the royal purple minimalistic box. The box is accompanied by the Elle UK magazine and the regular LF Beauty Box magazine. Scroll down for the contents of my LookFantastic Beauty Box for February 2017. Scree! 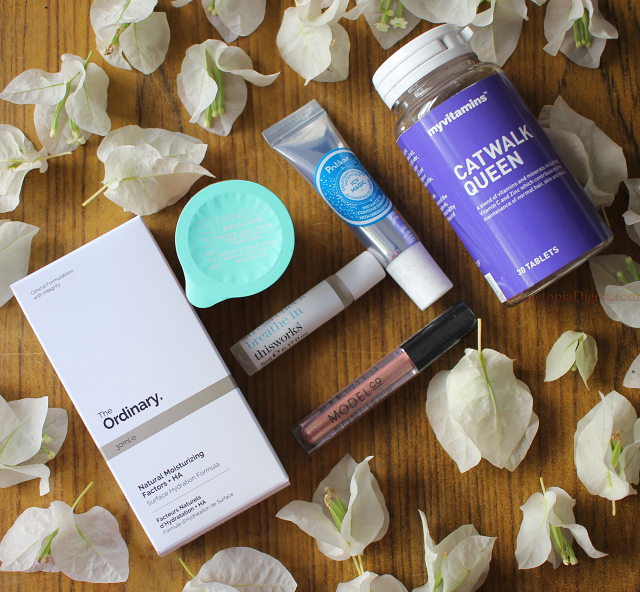 I've been dying to try The Ordinary's skincare - it is currently sold out on LookFantastic, except for the Argan Oil. Once it is back in stock, I will be buying about six products. At least I don't have to spend on this fabulous moisturiser - it is full-sized, and contains hyaluronic acid and ceramides to put the water back into your skin without greasing it up. A handy roll-on that you can use on your pulse points while on the go, to reduce stress. This is infused with eucalyptus and lavender. I tried it on my wrist this afternoon and found myself nodding off after lunch. Nice. My second Polaar product. This is a roller ball for refreshing and decongesting the eye area - it eliminates dark circles and puffiness. I just tried it on and found that it is not greasy, so you can wear it below makeup. Time will tell how it works on my dark circles. A purifying mud mask for healthier skin - I received the one for dry skin. I am oily but dehydrated. This contains mango butter and chamomile extracts. There seems to be enough for more than one use. I might give it a go over the next weekend or so. You can use this cream eyeshadow alone for a subtle sparkle, or over any other eyeshadow for an iridescent look. I'm going to take this alone on a mini-break and will show you the look I do - provided I don't end up looking like something the cat dragged in. Argh! A bottle of capsules containing Vitamin C (200mg), zinc, bamboo extract, and more. The problem is that I take 500mg of Vitamin C anyway for my skin. I also take a B-complex which contains more zinc than this one does. I'm going to donate these to a local hospice. Be that as it may, I am against sending out supplements in beauty boxes. Even a black eye pencil would have been more welcome than pills. I received a total of FOUR full-sized products in this box. 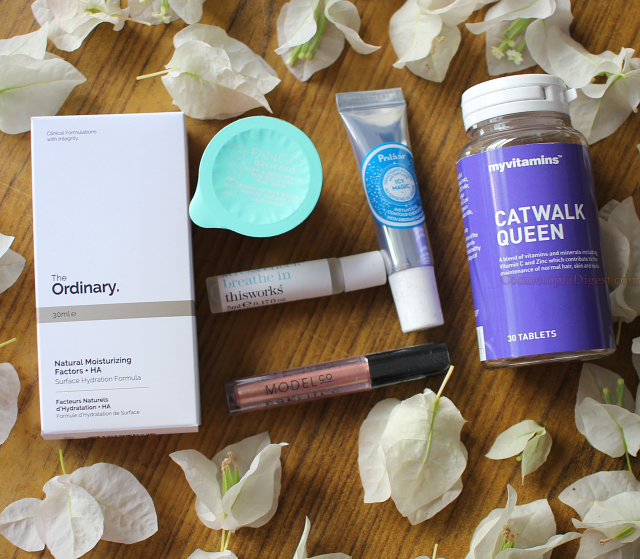 The presence of The Ordinary moisturiser alone makes the February LookFantastic box a winner in my book - I hope they continue to send out The Ordinary products in forthcoming LF Beauty Boxes so we can try the lot! I also love the under-eye roller ball and the de-stressing roll-on. The eyeshadow is pretty and wearable. What I did NOT love was the presence of the vitamins. Ugh. 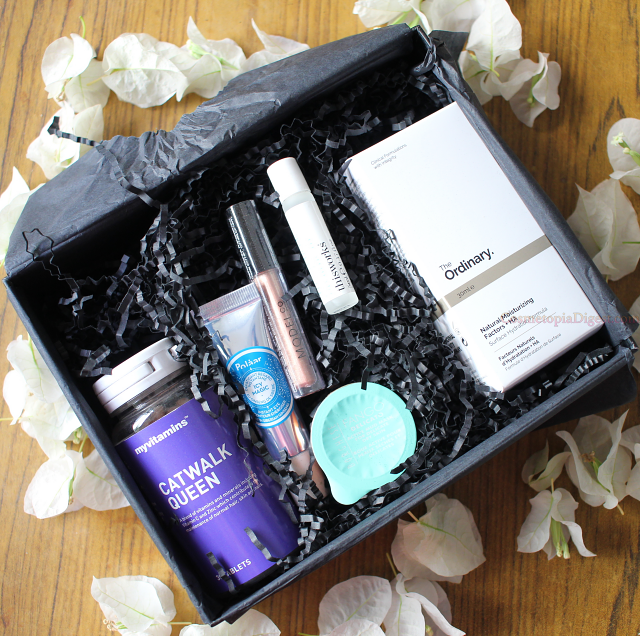 This is a beauty box, not a wellness box! What next, a yoga mat? A water bottle? Hopefully they'll be back to six proper beauty boxes from March, and stay away from the supplements for a long while. To subscribe to the LookFantastic beauty boxes, go here. They ship worldwide. Individual beauty boxes cost £15, but long-term subscriptions save you up to £2. You do not have to prepay, and are charged only when the box ships. Each month has a different theme, and the contents are always well worth the price.